﻿Ice skating dates back to around 3,000 BC when skates were made from animals bones and strapped to the feet. Skates have certainly come a long way since that time, but the thrill and health benefits from skating remain the same! Check our online calendar then mark yours to come out and enjoy an exhilarating ice skating experience you won’t forget! 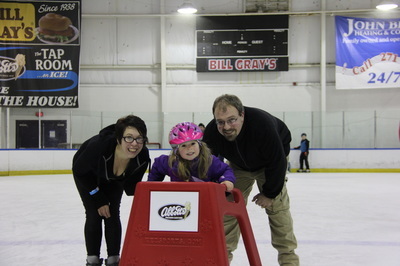 Because ice is slippery and injuries can happen, Bill Gray's Regional Iceplex recommends all skaters wear head protection, such as a hockey or bicycle helmet. Have any other questions about public ice skating? If so, check out our frequently asked questions page, or give us a call any time! Season Skating Passes: Unlimited skating for an entire year!